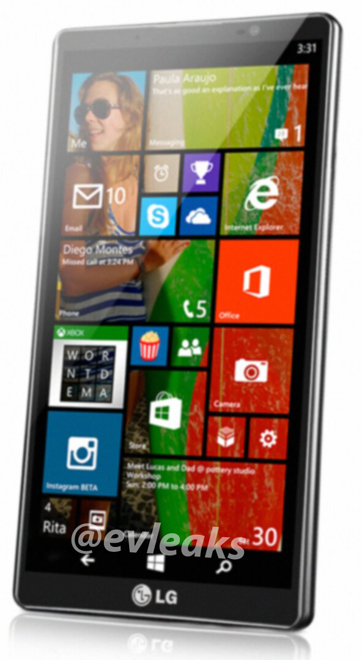 LG Uni8 2014 Windows Phone Revealed via Leaked Picture. Check LG Uni8 release dates, specifications and features. A mid LG’s tablet launches at MedPi 2014 exhibition at Monaco, EvLeak a trusted source of smartphone leak’s information has today tweeted the photo of LG Uni8 smartphone. Going with the leaked picture, the smartphone is powered with Windows Phone 8 out of box and it will be an attempt by the second largest Korean smartphone giant to re-gain market share in Windows devices. Once again going with the picture, the device developed by LG Electronics will be named as “LG Uni8” or it might happens to be a codename of upcoming device. The smartphone will be equipped with both front facing and rear side camera. The display screen size would be nothing less than 4.5 inch, atleast 720 pixels HD resolution. None of these specs has become official. We are yet to hear any news or FCC filing of LG Uni8 smartphone. May it will happen very soon considering it now available to leakster.